Use Google Sheet data when completing forms. Google Sheets can now be utilized as a Resource within your organization. Users are able to take their already existing sheets in Google Drive and sync them with Device Magic. 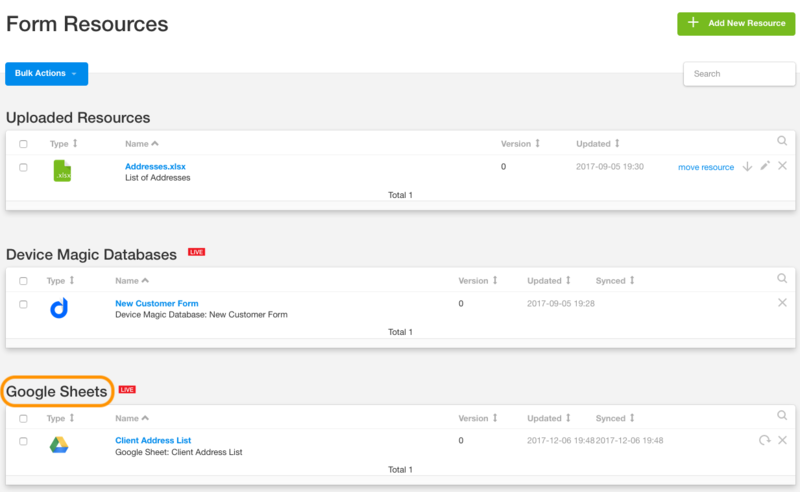 This integration allows for updates to your sheets to be passed seamlessly to Device Magic. For an overview of our Resources feature, please have a look at our help section here first. Many users already run their businesses using Google Drive. Less steps - Update your Resource by simply editing your sheet. 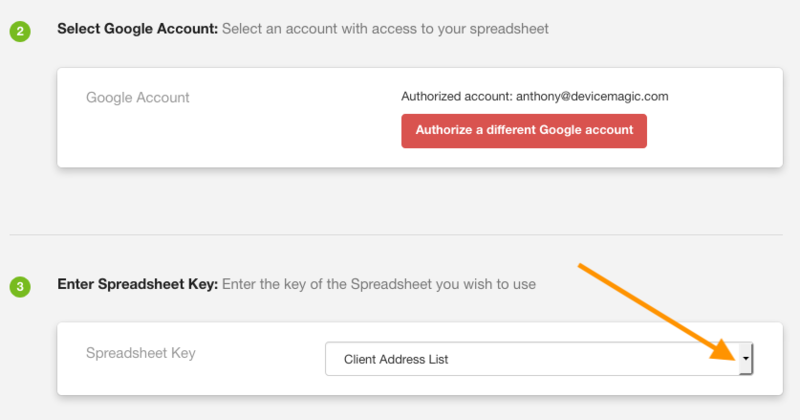 Privacy - Provide access to the Google Sheet, not your Device Magic account. Please note, this is only available on our Enterprise plan. Below we'll walk you through the process of adding a new Google Sheet Resource. First, navigate to your Resources page and click the "Add New Resource" button. On the following page, select "Google Sheets" as the Resource type. In Step 2, click on "Start authorizing with Google." You will be directed to a new window to sign into your Google account. 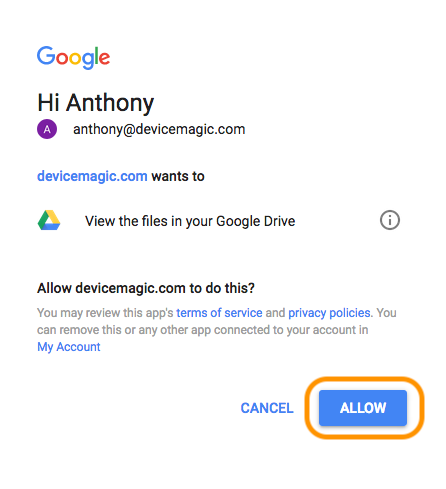 Then, you'll need to "Allow" Device Magic to view the files in your Google Drive account. After, you can close the window and return back to your Resources page. You'll then see that your Google Drive account has been authorized and you can choose your sheet in Step 3. Lastly, click on Create Resource. On your Resources page, you'll see any previously uploaded Resources towards the top. Underneath these files your Google Sheets live Resources will be listed. Next to each of these Resources, you'll see the option to manually sync your Resource. Although this isn't required for updates to your Resource, the option is available. And that's it! If you have any questions or comments feel free to send us a message at support@devicemagic.com.